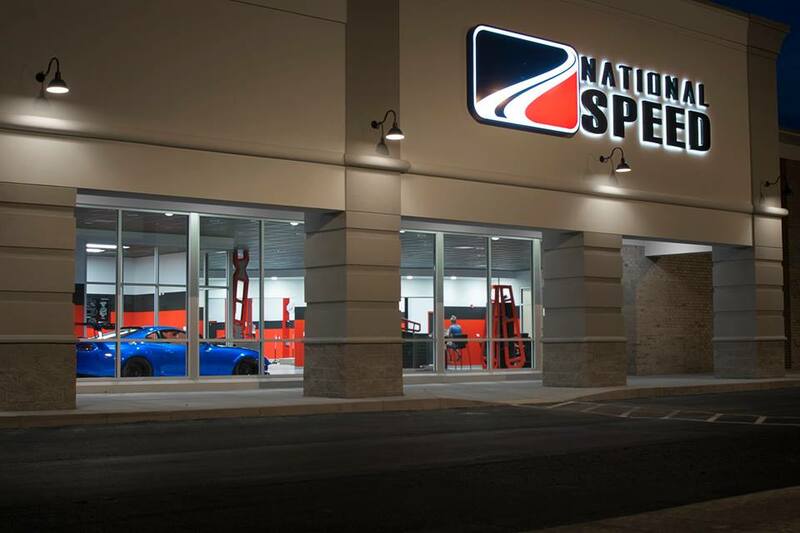 National Speed is headquartered in Wilmington, North Carolina and operates state-of-the-art performance shops. We’re venture backed, and will be setting the standard for the modern performance shop as we roll out additional locations in the coming years. Simply put, we make cars go faster and perform better. And we live the lifestyle. We race—drag, road course, and autocross. And we host events that draw hundreds of people. Most importantly though we’re fanatical about making sure our customers’ experience and cars are better than they expect. The average performance shop can leave the wrong impression. Most shops are operated in a cluttered and unkempt building, and so they often suffer chaotic consequences. Imagine the customer’s gut feeling about that; It’s a sloppy and careless perception. We are a focused team. Our state-of-the-art facility presents an open showroom with a multitude of performance products. We have experts on the floor, who can help you understand your vehicle and create your next vision. When you trust us with your car, we approach all processes with the highest regard. National Speed’s image can only be defined by your experience. We are all enthusiasts like you, so we understand your pride. Drawing crowds, interacting, and making moves is what car guys do. The shop is designed for car communities to come together, making Dyno Days, Cruise-Ins, Club Meets, and Track Days an important part of our brand.